Guns, Victory and Gallantry Awards – Bangladesh Ops of 1971. The US President Richard Nixon and the Indian Prime Minister Indira Gandhi, Washington DC, 4 November 1971. 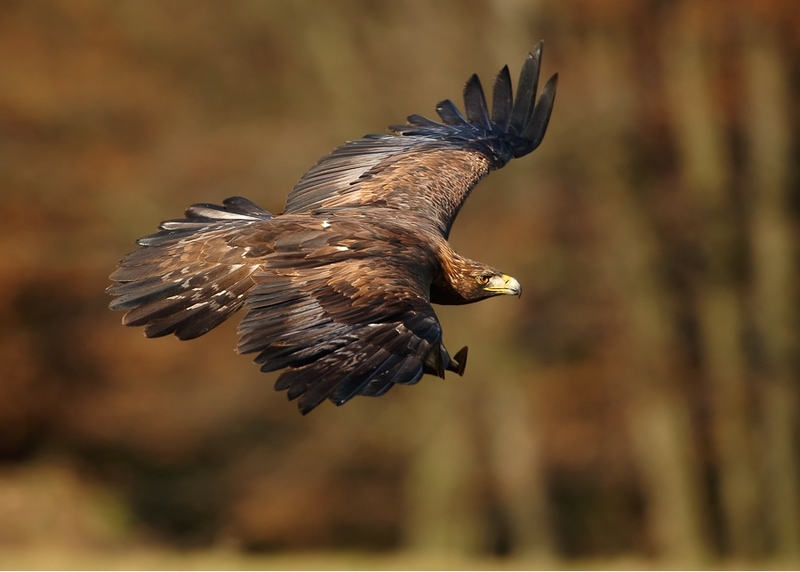 OPERATION EAGLE 1971 – GUNS, VICTORY, AND GALLANTRY AWARDS. THE MILITARY ACTION IN THE CHITTAGONG HILL TRACTS COMMENCED ON NOVEMBER 03, 1971, ONE MONTH PRIOR TO INDIA’S OFFICIAL WAR ON PAKISTAN WHICH WAS DECLARED ON DECEMBER 03, 1971. Guns, Victory and Gallantry Awards. Bangladesh Ops of 1971. POORVI Star for Operations in the Eastern Sector. On the 3 rd of December 1971, The Pakistani Air Force(PAF) struck a number of Indian airfields. By midnight, India was officially at war with Pakistan. Two weeks later, the war was over. The Indian Army had overrun erstwhile East Pakistan(Bangladesh) and had taken 93,000 Prisoners of War. It was one of the swiftest military campaigns in recent history. We helped the Bangla Muslims to regain their freedom and dignity.The Indo-Pak War of 1971 and the Birth of Bangladesh are very significant achievements of Prime Minister Indira Gandhi. As I was then serving in an Establishment under the Cabinet Secretariat, I had direct and personal understanding of her Foreign Policy Initiatives. She had personally approved our military Operation in Chittagong Hill Tracts. In the conduct of this War, we had faced a very critical moment and it needed her personal intervention and a decision that she alone could make. I rendered my services and had overcome the challenge posed by that critical situation. The importance of this situation could be understood as it needed an intervention from the Prime Minister. I am now asking the Government of India to recognize my GALLANT response in enemy’s territory without any concern for my personal safety. This War is memorable to me for several reasons. 1. I had actually proceeded to an active combat zone without my personal weapon/gun. 2. I was actually recommended for a ‘Gallantry Award’. I was recommended for ” VIR CHAKRA ” and the award citation did not go beyond the Office of The Director of Medical Services(ARMY), Medical Branch of Adjutant General’s Office, Army Headquarters and did not reach the Military Secretary’s Branch(Army) Ministry of Defence in time and the award was not granted on technical grounds. But 12 years later, my Formation Commander still remembered the role I had played and gave his appreciation in a formal letter. 3. I have shown gallantry without firing a bullet and I had received appreciation from the enemy soldiers that we had captured. I shall narrate my war-time experience in short stories now and then as the information is still ‘ classified ‘. 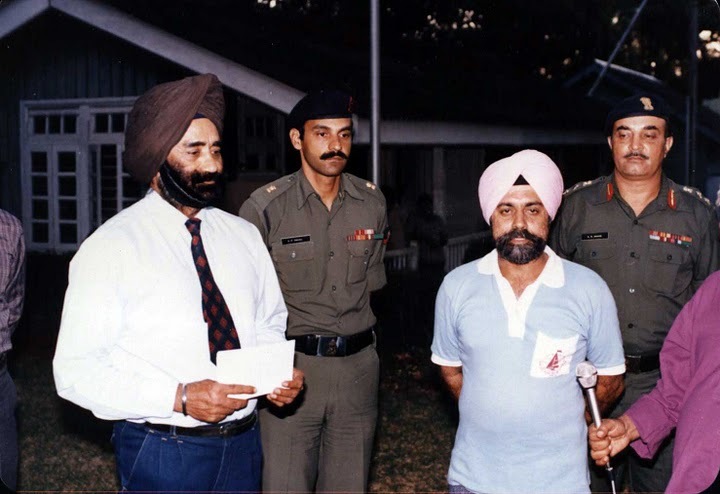 Lieutenant Governor of Andaman & Nicobar Islands(December 1985 to December 1989) – Lieutenant General(Retd) TS Oberoi, PVSM, VrC., former General Officer Commanding-in-Chief, Headquarters Southern Command, Pune, former Inspector General, Special Frontier Force, former Commandant, Headquarters Establishment No. 22. He is the tall person in this photo wearing a dark brown turban. I knew him since 1971. Under his able leadership, the Liberation of Bangladesh had commenced in the year 1971 during the Indo-Pak War. Apart from his military wisdom, he took good care of all men under his Command. While I was proceeding to the Chittagong Hill Tracts, he had individually greeted all the members of my team and had delayed the departure of aircraft to ensure that a hot breakfast was served to all the men boarding the aircraft. He paid personal attention to all the aspects of the military mission to ensure the well-being of men apart from achieving success in accomplishing the military task. The sense of warmth he radiated is easily felt when we meet him in person. His grandson provided me the link to this photo. Photo Credit – Trishna-Ajay-Picasa Web Album. As an Officer of the Indian Army, I received training in the use of a 9 mm Sub Machine Gun known as ‘ Sten Gun ‘ or ‘ SMG’ (” Carbine, Machine, Sten “) and had always passed in my weapon training tests. It is a devastating close-range weapon. It is a compact, lightweight automatic weapon firing pistol ammunition and it would fire without any lubrication. The personal weapon that was issued to me was held in the Unit and is generally taken out for range practice and weapon training. Being a Medical Officer, I also spend a lot of time away from my Hospital and provide medical cover during troop training and exercises. In 1971, as the war clouds started gathering, I started spending more time away from the Hospital where I was posted. As the tensions started mounting, my formation was asked to get ready for deploying troops and to get them ready for the war, they had to be moved and repositioned at locations closer to the border. When the airlift of troops began, I was far away from the Hospital and had to board the aircraft with combat-ready troops without my personal weapon. 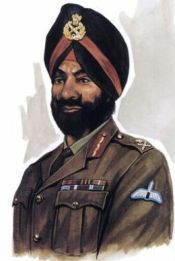 Brigadier TS Oberoi, our Commander was present at the airfield during this predawn flight and he was personally supervising very minute details and was making sure that the men were treated well. He gave orders that the troops could not be asked to board the plane until they were served a hot breakfast. He was personally shaking hands and gave encouragement to each one of us. Being a doctor, they were all used to seeing me without a personal weapon and my Brigadier also did not raise any objection when I got into the plane without my gun. After having reached the border location, I was still hoping that I could manage to get a gun for my personal protection. Officially, still there was no war and my expectation was that finding a gun would not be much of a problem. When I had checked and asked for an ‘SMG’, the gun for which I had prior weapon training, I was told that they had none to issue. I was asked to carry an assault rifle and many Infantry Officers told me that they love the rifle better than the light and compact SMG. I accepted the gun in spite of its heavy weight and bulky ammunition. I was not yet attached to the Battalion with which I would actually participate during the operation. Soon, the basic battle plans were revealed and the most important detail was that we would operate on a ‘ manpack ‘ basis. That means there would be no vehicles and we literally carry everything on our backs and move as a column and we were cautioned that we would not be resupplied for the first seven days of the war. We should be self-sufficient in all aspects for one whole week which includes fighting the enemy. I had arrived at this border village with my bedding, books, clothes etc., and was not knowing anything about the type of operation that was in store for me. I decided to leave everything at the regimental Quarter Master Stores and proceed on foot with the men with a backpack. I had my team of medical assistants and I had to assign them to different companies. Then I had the problem of my medical supplies for the battle. I had to carry every band-aid, dressing, pills, medicines that I would need. Nothing else would be supplied in the early and most difficult phase of the war. My medical assistants could only carry the load for their company role. I had to support the Battalion Headquarters and all other support personnel. I took a deep look at my medical supplies. Then I made my decision. I decided that I would rather go for the war with my medical mission and totally forget about defending myself during the war. I made a decision to return my gun, my bulky ammunition and I would be able to serve my men better if I have my medical supplies and I truly need more of it to protect others and there was no room to worry about my personal safety. In the first conference with my Battalion Commander, Col BK Narayan, that was the very first time I had met him in my life, I told him that nothing else really matters to me other than providing and caring for the men during combat and I would be happy to lift an extra load of medical supplies rather than carrying a gun to protect myself. 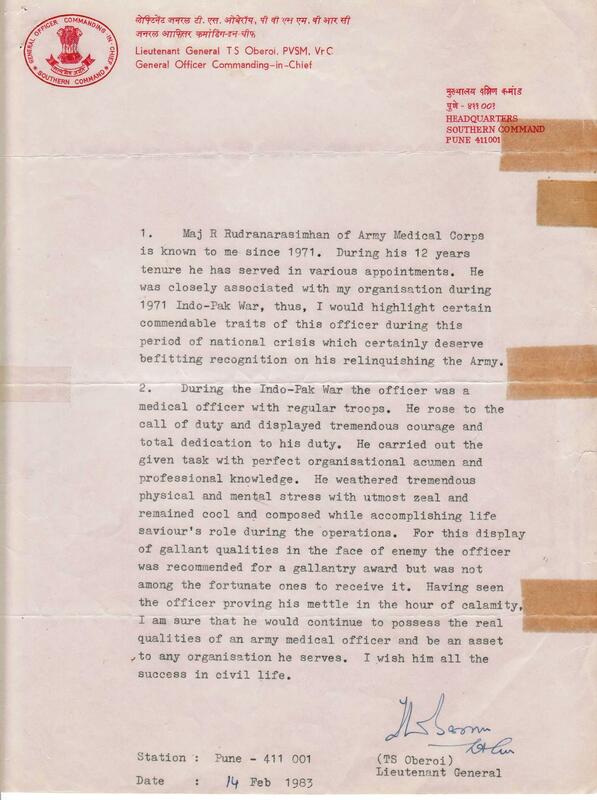 Col.Narayan could immediately understand my decision and in the first battle briefing, he had announced that the Adjutant would defend the doctor for the entire duration of the operation. Captain Kottayam Chacko Kurien, an Officer of Jewish faith had accepted this additional responsibility with great seriousness and he had solemnly pledged that I would be the last person to get killed in the Unit during the war in which I had marched everywhere along with the men without my personal weapon. 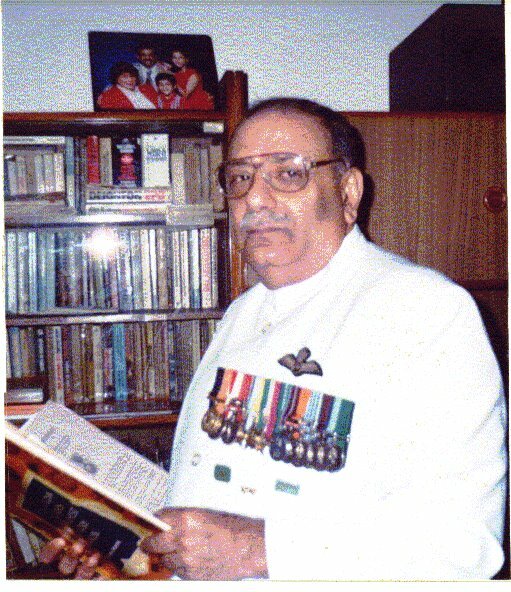 1.” Major R. Rudranarasimham of Army Medical Corps………..was closely associated with my organisation during 1971 Indo-Pak War, thus, I would highlight certain commendable traits of this officer during this period of national crisis which certainly deserve befitting recognition on his relinquishing the Army. Remarks of Lieutenant General T S Oberoi, PVSM, VrC, General Officer Commanding-in-Chief,Headquarters Southern Command Pune 411001.He had remarked about my participation in the Indo-Pak War of 1971. Major General ( Retd ) Sujan Singh Uban, AVSM, the former Inspector General of Special Frontier Force had authored a book titled ‘The Phantoms of Chittagong : The Fifth Army in Bangladesh’. He had narrated the military exploits of his Force while operating in the difficult terrain of Chittagong Hill Tracts during the Indo-Pak War of 1971. He did not discuss the role of Indian Army Medical Corps and the Medical Plan for his Fifth Army in Bangladesh. My sincere and hearty congratulations for the gallantry and devotion to your work,beyond the call of duty, exibited by you in the war;i am eager to read of your other exploits in this war. Please also read all the related Blog Posts. You had done excellent secondary work in honour of soldiers who fought actual battle in BD. But you never fought and participated in a real battle.Only real fighters are awarded VIR CHAKRA or Mahavirchakra award.Neither you killed any single Pakistani soldier on any front. How you expect any award from Govt ? You are not seen with a weapon in any photogragh either. Thanks for sharing your view. Apart from Infantry, warfare is supported by several people who have designated roles during the conduct of military operations. Apart from Army Medical Corps, several ranks partcipate in the War providing vital support to the Infantry soldier. Approximately there could be eight people working to support the role of Infantry soldier. Army Medical Corps participates in the War as Combatants. The 1971 War had followed the International Laws and Conventions of Warfare. The Geneva Conventions of War of 1949 categorically specify the duties and the responsibilities of Medical Personnel during War. I am not supposed to kill or harm any enemy soldier or civilian. The Geneva Convention states that I must treat all wounded personnel including enemy soldiers and civilians. I am glad that I had served my Country and had also served the captured Pakistan soldiers and provided timely treatment and made arrangements for medical evacuation of enemy casualties by our helicopters. I had also served a Chakma civilian who lived in a tree house and provided him with medicines and comfort. I spoke about the experience of Madhurya, Joy and Bliss while serving the wounded men. My Unit Commander Lieutenant Colonel BK Narayan, and my Field Commander Brigadier T S Oberoi and the Force Commander Major General Sujan Singh Uban had recommended the award of Gallantry Award and they did it for good reasons and they understand courage and bravery during Action while facing the Enemy. The Courage is not about Killing People. The Courage is about performing Military tasks without fear, disregarding personal safety, and going beyond the Call of Duty. Note that only indian soldier to get PVC on eastern front in 1971 war was Albert Ekka, may be in Hilli / Bogra battle. HD Manjrekar from Mumbai of Rajput regiment also fought a very tough battle in Hilli area with FRONTIER FORCE.He was found dead just few meters from enemy post with grenade in right hand. He sustained at least 32 bullet injuries on his body. He was also not awarded any gallantry award for his heroic act as a combatant. Nobody is complaining about him. Even though he deserved at least MVC. Thanks for sharing your view. Captain(Dr.) M. L. N. Swamy, AMC of Kurnool Medical College, Kurnool was awarded VIR CHAKRA during the 1971 War in the Western Sector. You have yet to understand the concept called ‘courage’ and courageous action while facing the enemy. I had participated in Operation Eagle in the Eastern Sector and had received orders for this Operation from Prime Minister and her Cabinet Secretariat. In the Western Sector, most of the action took place along the border and Indian Army did not make a deep penetration of the enemy territory. In the Eastern Sector, we had advanced on foot and attacked the enemy deep inside his territory. You have to get a basic insight about infantry operations. but India pay for this shameful act . Thanks for visiting my blog post and sharing your opinion.Bangladesh has a high concentration of Muslim population and I met several hundreds of young college students who ran away from East Pakistan to escape from the tyranny imposed by the military rulers of Pakistan. They are intelligent, and they clearly understood that the brutal Pakistani military regime had no respect for democratic governance. India did not create Bangladesh using some magic wand. If Pakistan was defeated in that War, kindly explain to me as to where the Officer Corps of Pakistan’s Army were hiding during the War??? In my story, I stated that there were no Officers at the forward locations and Pakistan’s Army was fully aware of the tense situation. The men were commanded by Risaldars(Junior Commissioned Officers). We treated the men in uniform with great respect, and I am sure that some of them would be still alive and would tell you the truth. I am speaking about the fallen heroes on the Pakistani side. Before you get your chance to take your revenge, why don’t you contact the Regiments, establish the identity of your fallen heores, and give their families support in due recognition of their meritorious service. If you are truly fond of Islam, ask your Government to give me an award for saving the lives of some Muslim soldiers. You may kindly check with Pakistan’s Army; they will confirm to you that they did not post Medical Officers(Doctors) at any of their locations in the Chittagong Hill Tracts. I had asked the Government of India to give me the Gallantry Award that was recommended during the War and my Government has simply ignored my request.May be you can write to them. In the military tradition, we show respect to our enemy in both victory and defeat. you save pakistani solidrs any name 4 proof? just tel me Indian army were playing golf in east pakistan? its only a internal issue of pak so y India there? you are writing beautiful English but you don’t hide the truth? so my dear you can not imagine level of hate against India in pakistan. You claim to be a Muslim and ask me for proof. Can you ever separate man and Allah? Don’t you know, and don’t you understand that Allah is our witness to all of our thoughts, and actions and then we stand before Allah on the Day of Judgment? I told my story. In the Chittagong Hill Tracts, I have not seen any golf courses. The reason is your Pakistan’ army officers do not want to serve in remote, and difficult areas. Secondly, you must know that I had worked in the Land Forces of Sultanate of Oman. In Oman, I had a chance to work with hundreds of Pakistani men and officers. We had very good, friendly relationship. So, I do have friends in Pakistan, but I lost contact with them. If they meet me, they will immediately recognize me. I really like the idea that you want to fight with India. In my story, you read that I went to War without my personal weapon. I did not carry my gun during active, military operations. I did not care for my personal safety. I just wanted to take care of my men and help them if they get hurt. Please accept my challenge. Next time, when you get your chance, just bring one person to the battlefield without his gun. I am not saying that I am a very brave soldier. I am saying that I am a very dedicated soldier. I placed my trust in God, and crossed the border in Mizo Hills to Liberate Bangladesh and give it to my Bengali Muslim brothers who walked with us. Can you think of going to War without your gun and win it keeping trust in God??? ok come to pakistan we will give u NISHAN E HAYDER? Thanks for your generous offer. Kindly try to read my story as my “KISMET”( The Will of Allah ). It was my Kismet, I went to the Chittagong Hill Tracts. It was my Kismet, I took part in the military action without my personal weapon. It was my Kismet, that I was not captured and taken as a Prisoner of War. It was my Kismet that I was not killed, or wounded during the War. But, again, what Pakistan’s Army could not accomplish during 1971, was accomplished by my own caste people who served in Indian Army. Two very high-ranking, Hindu-Brahmin Generals of Indian Army Medical Corps had backstabbed me and prepared the grave for my career in Indian Army. 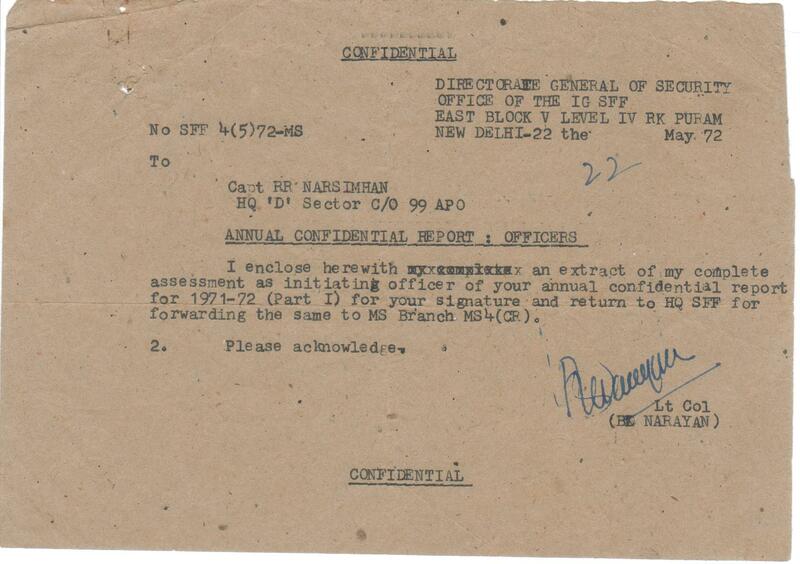 I had resigned my Permanent Regular Commission in Indian Army and left India during 1984. It is my Kismet, I am living outside India all these years. “Insha’ Allah”( if Allah is Willing ), I will live the rest of my life away from India. My reward, or my punishment would be as per my Kismet( The Will of Allah ). “Insha’ Allah”( if Allah is Willing ), one day, you will be the President of Pakistan, and Allah will command you to keep your word as written by you in the comment posted by you. If I had indeed, saved the life of one Muslim, don’t you think that I may get a reward in the Heaven, if not Nishan-E-HAIDER that you have jokingly mentioned???? Leave the revenge in the hands of Allah. You will not be able to take revenge against the Leaders who made the decisions. 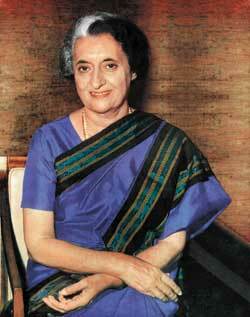 For example, Mrs. Indira Gandhi is not alive today. The men who took part in the military action have either died, or retired and are dispersed in the different parts of India, and the world. It is not easy to find them. R. Rudra Narasimham, B.Sc., M.B.B.S., Personal Numbers:MS-8466/MR-03277K. Rank:Lieutenant/Captain/Major.� Branch:Army Medical Corps/Short Service Regular Commission(1969-1972); Direct Permanent Commission(1973-1984). Designation:Medical Officer. Unit:Establishment No.22(1971-1974)/South Column,Operation Eagle(1971-1972). Organization: Special Frontier Force. Thanks for asking me not to give you a response. But, in truth, we have to submit all our actions to the Will of all-knowing Allah. If I remain silent, Allah would still know my heart and there is no escape from that knowing power of Allah. Man lives on the face of planet Earth because of Allah’s Mercy, Grace, and Compassion. In the past, we had huge, and powerful creatures called Dinosaurs all over the world. They are all gone. You cannot decide about War and Peace, I would only live my days on Earth if it is in agreement with Allah’s purpose and will. I would again ask you to become God’s servant, and your name “Malik” will come true, and you will become Leader of men.